Globe Subscribers, enjoy the most affordable BlackBerry Plans from Globe with designed Plan benefits that fits your lifestyle. Globe BlackBerry Chat, Globe BlackBerry Max, Globe BlackBerry Social and Globe BlackBerry Messaging. Globe BlackBerry Data Plans explained below but before going to that, Check out the latest release version of the Top BlackBerry Free Category App from BlackBerry App World. 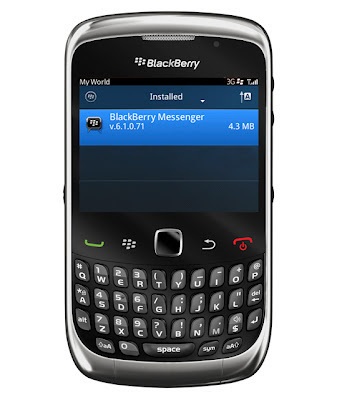 BlackBerry Messenger or BBM version 6.1 upgrades with new features. To download BBM 6.1 latest version, visit the BlackBerry App World. BBM 6.1 featurse includes Camera and Display Picture Integration snapping a picture and display it right away. Colored Chat bubbles now customizable based on your color preferences. Animated avatar, New set of emoticons and BBM increased max character count for messages to ensures that nothing is left unsaid. Globe BlackBerry Chat - Provides users Unlimited Access to BBM for as low as P99per month. BlackBerry users who are Globe Postpaid subscribers can enjoy BBM features that includes free 200 text messages to Globe/TM. Globe Prepaid subscribers can avail of the 1-day variant with Unlimited BBM & 100 SMS to Globe and TM subscribers for only P15 a day. Globe BlackBerry Messaging - Available for heavy e-mail users with Unlimited Access to E-mail, BBM, and instant messaging. For more details on the different Globe BlackBerry plans, visit www.surf.globe.com.ph or text BB INFO to 8888. 0 comments: on "Globe BlackBerry Data Plans and the BBM 6.1 App Latest version"